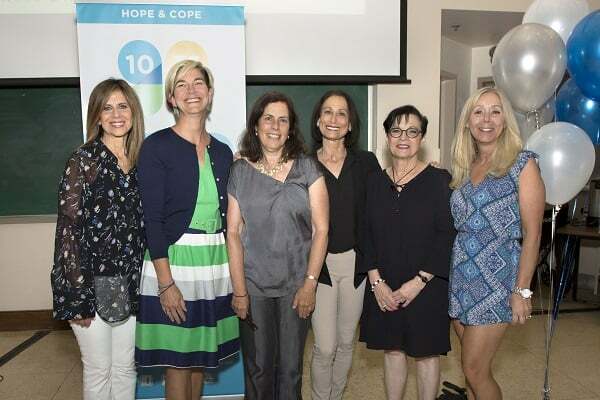 Resilience, the title of Susan’s 2014 memoir describing how she dealt with cancer on her own terms, was also the theme of her spellbinding talk as guest speaker at Hope & Cope’s Annual Cancer Survivorship Day. “Resilience is our ability to bounce back no matter how many times we fall,” she explained. Close to 30 years ago, Susan Wener was in the prime of her life when the unthinkable happened – at the age of 36, she was diagnosed with colon cancer. As a wife and mother of three young girls, ages 8, 12 and 13, she was paralyzed with fear and so distraught that she simply could not function. “I knew I had to live because I could not leave my children. I knew the why but had to find the how,” she explained. Susan was a compliant patient who put her trust in the hands of her doctors, and following treatment, was given a 95% chance of being cancer-free for the rest of her life. “Hope & Cope carried me through when I was first diagnosed,” she recalled. “They were like angels, best friends walking by my side.” Yet once her treatment was over, she found herself restless and listless and realized that after spending a lifetime caring for and trying to please others, she needed to find her own truth. “It was time for me to learn to fight for myself,” she said. Susan went back to school, where she spent five years exploring complementary therapies and healing modalities as she trained to become a natural health consultant. Then, just as she was about to graduate, a bowel obstruction landed her in the hospital. The doctors informed her that the obstruction was the least of her worries – tests showed she had lung cancer. Shocked by the news, she agreed to have her right lung surgically removed but refused chemotherapy treatment. “This time, I took charge of my own well-being,” she said. Her doctors gave her only a 25% chance of living beyond five years, but Susan knew she had the capacity to decide how she wanted to live and to fight for what she wanted. Susan noted that healing takes time and patience. 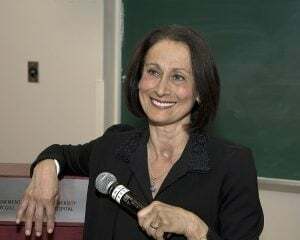 She encouraged those battling cancer to give themselves permission to make their own choices, to surround themselves with people who are non-judgmental and supportive, and to avail themselves of organizations such as Hope & Cope. 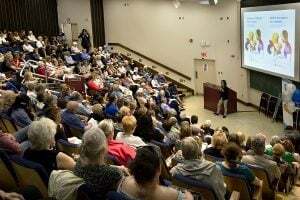 “Possibility exists and belief in possibility is what allows you to hope,” she concluded.